Opinion piece by Andy Home for Reuters. Aluminium hasn't escaped the broader industrial metals rout. The "Russian Premium", which resulted from the April 6 imposition of U.S. sanctions on Oleg Deripaska and his Russian aluminium empire Rusal, has been fully unwound. The market is expecting sanctions to be lifted but aluminium's slide is also part of a broader metals retreat as macro concerns trump micro narratives. Next week is the LME's "third-Wednesday" prime prompt date for July. It's another quirk of this exchange that the clear-out of positions will actually take place on Monday. If you are short aluminium and want to stay that way, you have to roll the position forward. It's either that, buy back the position or, if you have it, deliver physical metal into an LME warehouse to settle the position. To roll to next month, August, will currently cost you $68 per tonne . Someone is holding a big long position on Monday. The LME's daily positioning reports <0#LME-FBR> show one entity with a position greater than 40 percent of market open interest, something in excess of 300,000 tonnes. Others are re-warranting metal that had been waiting physical load-out. There were 7,950 tonnes of such "reverse cancellations" at the Spanish port of Bilbao on Thursday as well. 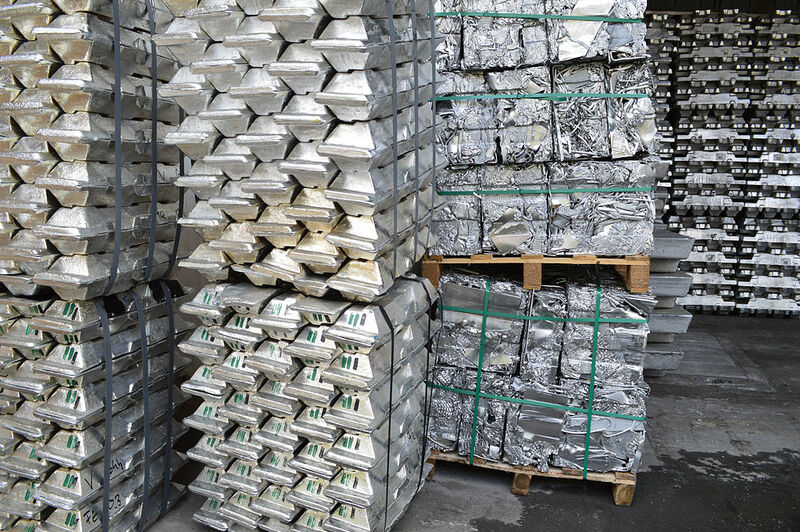 Strip out the metal awaiting load-out and "live" LME tonnage available for contract settlement stands at just 970,725 tonnes. Of course everyone knows there is more metal sitting "out there" somewhere in the shadows beyond the exchange's statistical light. That's why the LME aluminium contract has been prone to sporadic gyrations in the time-spreads in recent years. The benchmark cash-to-three-months spread has just hit the $50 backwardation level for the third time this year. The cash premium had only been that high once in the previous decade, namely December 2012. The existence of those huge "shadow stocks" has made it impossible to read LME stock movements as an indicator of underlying market dynamics. But underlying all this coming and going in the LME system has been a steady drawdown in the "shadow" stockpile, according to research house CRU. But it was another quarter of inventory draw. "Shadow stocks" have fallen steadily from 10 million tonnes at the start of 2016 to just over six million tonnes at the end of the second quarter, according to CRU. The shortfall will largely manifest itself outside of China, the world's largest producer, which is expected to remain a broadly balanced market. China's natural surplus will continue flowing into the rest of the world in the form of semi-manufactured products ("semis"). The irony is that it's China's over-production and exports that have roiled the rest of the world, first and foremost the United States, which has responded by putting 10 percent tariffs on imports from just about everyone. However, the rest of the world now relies on China's exports to mitigate its own growing deficit. China has a lot of that as well but it's trapped behind a 15 percent export tax. There could be yet for more pain for any remaining shorts on the LME's July date. We'll see. But it's looking increasingly certain we're going to see more of these LME squeezes going forwards. On current trend, they're only going to get more severe.